Although it does not mark the end of the season by any means, by virtue of being the final Grand Slam event of the year, the US Open tends to be the point that people often start to wonder about what the future may hold. The off-season will again be littered with exhibition matches, chief among them being the IPTL, and it is these exhibition matches that often lead to discussion around potential rule changes in tennis. Now, tennis is clearly not broken. It continues to be a popular sport in many countries, albeit with a slightly ageing audience, but it does not need wholesale rule changes. Indeed, wholesale changes would probably damage the sport, both as a contest and as a spectacle. However, there are a number of areas in which rules could be tweaked or adjusted to improve the sport for various parties, whether that be the players, the spectators at the event itself or the audience watching televised pictures or streams. I thought I would put down a few of my thoughts as to what these changes might entail. 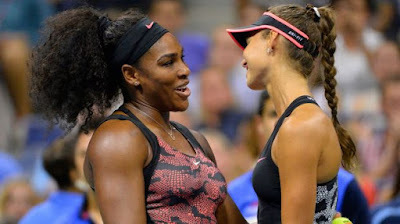 Given the recent situation with Vitalia Diatchenko and Serena Williams bringing this issue to the foreground, it seems an obvious place to start. Players, particularly those lower down in the rankings, rely on money from slam first rounds or even standard ATP/WTA events to finance large portions of their year. Over 50% of Vitalia Diatchenko's prize money this year has come from first round exits at the Australian Open, Wimbledon and the US Open. So while people question why they do not just withdraw if they have a slight injury, it is not really a sensible decision from a player's perspective. You also see people suggest that you scrap prize money for first round losers - the idea being that you do not want to reward failure and stop players just turning up for the money. However, given the number of players that rely on this money, this does not seem to be a smart idea. For the majority of professional tennis players, merely reaching a grand slam is seen as success - a first round defeat is certainly not seen as a failure. However, injured players playing matches below their ability and being forced to retire is clearly not good for spectators. So, how does one solve the issue? My suggestion would be that if a player is in the draw, but is forced to withdraw on-site before their first round match, they would still collect the prize money for having lost in the first round. They would be replaced in the draw by a lucky loser. 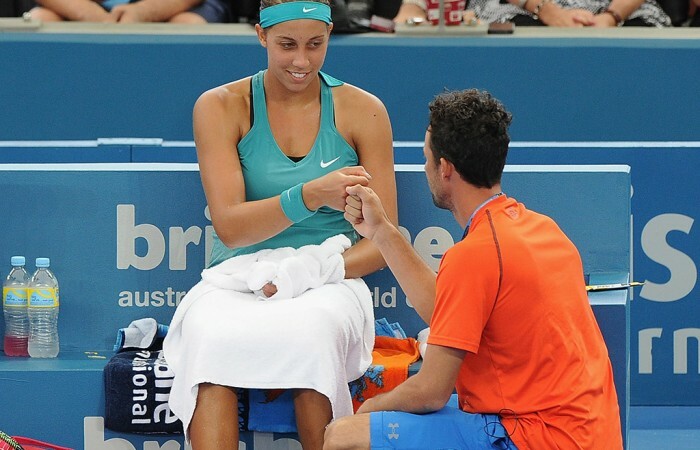 However, the lucky loser would not receive any prize money or ranking points if they lose this first match. Rather, the incentive for the lucky loser is gaining the opportunity to reach the second round at which stage, they would start to collect prize money and ranking points. This would mean that an injured player could withdraw and not have to worry about losing out financially. The lucky loser would benefit by gaining the opportunity to reach the second round, but does not immediately gain financially purely on luck. The tournament would not be paying any extra prize money, but would be guaranteed a match between two fit players. The spectators get a full match between two fit players. It feels as though everyone benefits. I would also be fully in favour of the lucky loser system at all tournaments being determined by the four highest ranked players to lose in qualifying being entered into a random draw and whichever player is drawn out of a hat gets the place. This prevents the issue with players tanking qualifying matches because they know that they are already in the draw. In a perfect world, tennis matches would be decided by the two players on court and no external factors. We do not want matches to be decided by calls by the umpire or the line judges. The challenge system was introduced to improve the accuracy of calls and has arguably been a big success. More decisions are correct and it is popular with crowds. Ultimately, the point of the system is to ensure correct calls. It is ridiculous when a player has no challenges remaining and loses a point on a clearly incorrect call. It is also occasionally being used as a stalling technique by players to give themselves an extra few seconds to recover or compose themselves. We also see controversy over whether players are challenging in an appropriate time frame. Thus, I would propose that challenge system is taken away from the players and shifted to the umpire. The umpire would have the power to request a review on any call that he deemed to be marginal. 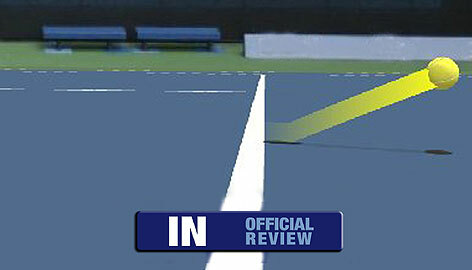 In the future, there is certainly the potential for technology to replace line judges completely. It is already being trialled in certain competitions and if that is successful, there are few arguments against it as a long-term solution. The major issue admittedly would be cost, but at the bigger events, it is certainly something to look at. I also see no real reason that instant replays could not be used to rule on issues such as foot faults or double bounces. These can often be very controversial issues and can affect the whole flow of a match when a player is upset with a call. The use of instant replays would solve these issues almost instantaneously and remove the controversy allowing players to concentrate on the actual tennis. There has been plenty of debate around MTOs and their use as strategic timeouts to disrupt an opponent's momentum. Now, there is little doubt that they are sometimes used for this reason. However, there is also little doubt that players do often legitimately need to call for one to treat a genuine medical issue. Scrapping them completely has been mooted, but this seems as though it would just lead to increased retirements and fewer completed matches. We may also see players playing through injuries without adequate support or strapping and exacerbating that injury. Neither of these are outcomes that are positive for players or spectators. However, there does seem to be potential for a slight change to ensure that they are used for their intended purpose. We do not want to penalise a player too seriously for a medical issue, given that the mere presence of a medical issue is arguably penalising the player as it is. However, it does interrupt the game and momentum of an opponent for no fault of their own. Thus, I would suggest that we keep MTOs as they are, but if you call one either during a game or that extends beyond the normal changeover period, then you are given a two shot penalty. So, if you call one before your own serve, you would start the next game at 0-30, and similarly, if you call one before your opponent served (a time that is often criticised for being for strategic reasons), you would start 30-0 down in the next game. This should hopefully be enough of a penalty to prevent people from simply calling them for strategic reasons, but does not penalise a player too heavily if they have to call for a MTO for a genuine injury. Left-handed players tend to have an inherent advantage in that their stronger serving side tends to coincide with game points or break points. It means that on the big points on their own serve, they have an advantage that a right-handed player does not have. A simple change to rectify this would simply be to have left-handed players start serving from the ad-court. This is not a major change, but it helps to level the playing field. Two fairly small issues, but as far as I am concerned, the warm-up is entirely pointless in tennis. The players will have been warming up before their match in the locker room and they will have been on the practice courts earlier in the day. All it achieves is to bore the crowd. The practice of taking a towel to the back of the court and using it after every single point is also pretty ridiculous. Ignoring the fact that it is pretty unpleasant and unhygienic for the ball kids that have to handle the towel all the time, I cannot imagine that players cannot go more than a point without having to towel off. They should either be restricted to using it after games or simply during changeovers. Recently, I had a discussion around on-court coaching on Twitter. It stemmed from the fact that people were arguing that the ATP did not have on-court coaching, so the WTA should scrap it because it suggested that women were unable to manage without a coach helping them through. However, rather than assuming that the ATP is always the way forward, I would suggest that the ATP allow on-court coaching and it be permitted at all tournaments, including grand slams. Most individual sports have an element of in-play coaching these days. Boxing has coaching between rounds, motor-sports have team radio and golf has caddies to provide advice. I see no reason why tennis should not embrace on-court coaching. If it leads to more competitive and interesting tactical matches, then what is the issue with it? It could also be interesting for television audiences. Hearing a coach talk about the match and the tactics that a player should employ, then watching to see how and if those tactics are utilised appeals to certain people. Another issue that is regularly debated is the time taken between points and time violations seemingly being issues at the most inappropriate moments. Adding a shot clock in the corner of the court that is controlled by the umpire would take away any debate. It would count down from the end of the previous point and if a player has not served by the time it counts down, it would simply make a noise and the player would automatically lose the point. To establish continuity across the board, I would simply make it a 30-second limit for all tournaments. However, I would also give the umpire the power to add time onto the shot clock if he felt it appropriate after the previous point or under other extenuating circumstances. Obviously after a long and strenuous rally, it would be acceptable to give the players a few extra seconds to recover. The idea is not to force players to rush, but simply to keep the match flowing and stop players taking long periods between points. The final one is not a change to tennis in itself, but more an addition to the calendar. At the moment, there is an empty week between the final Masters event of the season and the World Tour Finals. This could be filled with a combined U21 and Junior version of the World Tour Finals. The eight highest ranked U21 players in one event and the top eight juniors in another. Junior - Taylor Fritz, Michael Mmoh, Mikael Ymer, Seong Chan Hong, Reilly Opelka, Orlando Luz, Marcelo Tomas Barrios Vera and William Blumberg. For the U21 event, that is a pretty solid field full of players of whom big things are expected. Whilst the junior field consists of names that are probably fairly unfamiliar to many, it would provide the opportunity for fans to see the potential future stars of the sport. It is currently a week in which there is no major tennis and it marks the end of the season, so the likelihood is that most of the players would be happy to play and it would have the spotlight on it for the week. 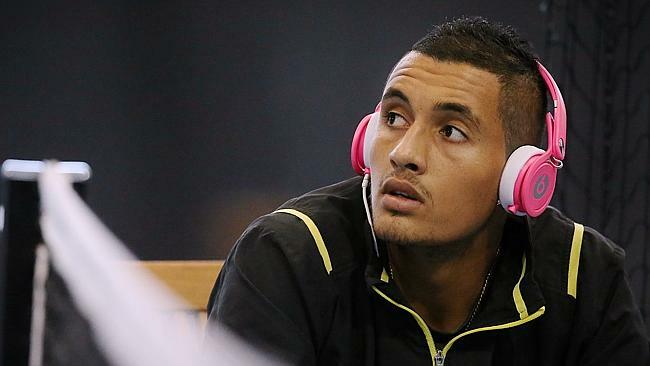 It could help tennis market some of its future stars and it could even be used as a trial event for new rule changes in a competitive atmosphere.